Will you dare the dark chamber? The World War II wrecks in Calamianes is certainly a dive destination that deserves more than one visit, and each time you go you see something different. To see all the wreck requires more than one dive in itself. I had the opportunity again six weeks ago to savor the mysteries and secrets in a wreck in Dimalanta Island. So, will you dare? Definitely the dark holes and chambers are too irresistible. The urgency of what’s beyond keeps the blood pumping and rushing. Wrecks in the depths are truly engaging. Again, will you dare? That was during our last trip to Coron 17 months ago but we were unfazed, we still went for the trip few hours later aboard the Super Ferry boat. Undoubtedly, it was a memorable trip and it is always a joy to be back in one of my favorite places up north. 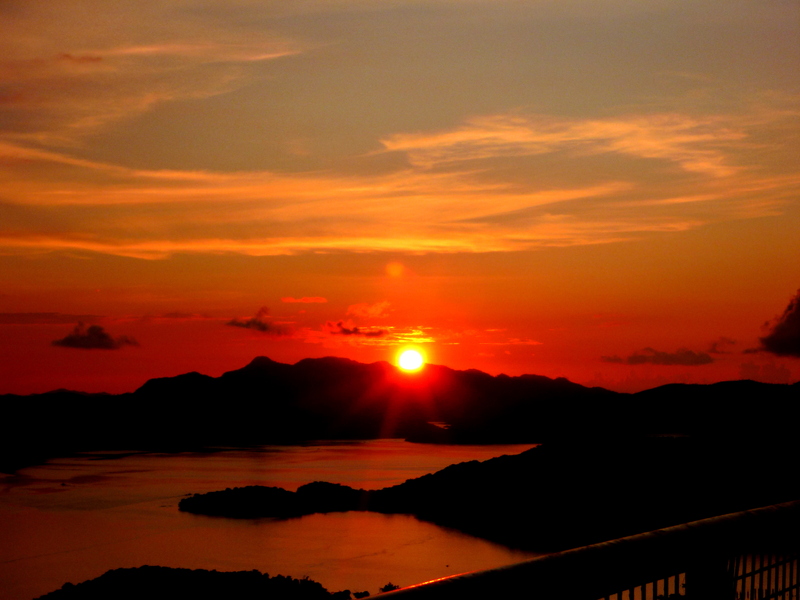 Obviously I love Coron, it is an enchanting town I keep coming back again and again. I was simply thrilled we were back shortly than original plans. Taking the last evening flight from CdeO, I waited seven hours for our early morning flight, to be sure from the sunset limitation. My lack of sleep had taken its toll, I doze off as we got airborne. The summer heat greeted us as we taxied the air strip to the terminal, we were favored again with the good weather! With the roads completely paved to the town, the trip was shortened to 45 minutes – the road network is almost completed, definitely a good improvement for the local economy. Seadive Resort has been my favorite refuge but Angel had it arranged at Corn Ecolodge, a new boutique hotel right down town, accessible to any point of interest in the town. Wanting to make most of our time, we headed to Seadive to arrange for morrow’s dive trip and to get a boat for an afternoon spot hopping. Kogyu Maru is the last shipwreck in Bacuit Bay we haven’t explored, so we were thrilled it was scheduled for the morrow, with Irako Maru and East Tangat Wreck it was a perfect combination for the next day’s descent unto the depths. And we are more fortunate we had a cheaper boat fee as three foreigners (based in Kenya) joined us the afternoon hopping, letting us decide the best proverbial sites to visit. We choose Kayangan Lake/Cove, Atuwayan Beach, Skeleton Wreck and Siete Pecados – in that order. I knew visiting these spots brings heartwarming memories when I first set foot in Busuanga five years ago with DIY friends. This homecoming is my 5th year anniversary in Calamianes group, also my 5th visit to the town. I guess I never go tired of savoring its nature wonders and pleasures. I think the same sentiment is true for the three Kenyan tourists with us. The trek and the overwhelming view in Kayangan Lake and Cove, the quiet white beach and pristine waters in Atuwayan which was all to ourselves, the rich marine life in Skeleton Wreck as well in Siete Pecados Marine Sanctuary have filled up our afternoon we barely made it to Mt. Tapyas. Angel and I agreed earlier for the climb to get a glimpse once again of our favorite hill sunset. We rushed up, the urging of the golden panorama stirred our desire to reach the summit before the sun hid from our sight – chasing our sunset! We stood there with our big smiles watching the horizon in its golden splendor until it ebbed down in the vast ocean yonder. 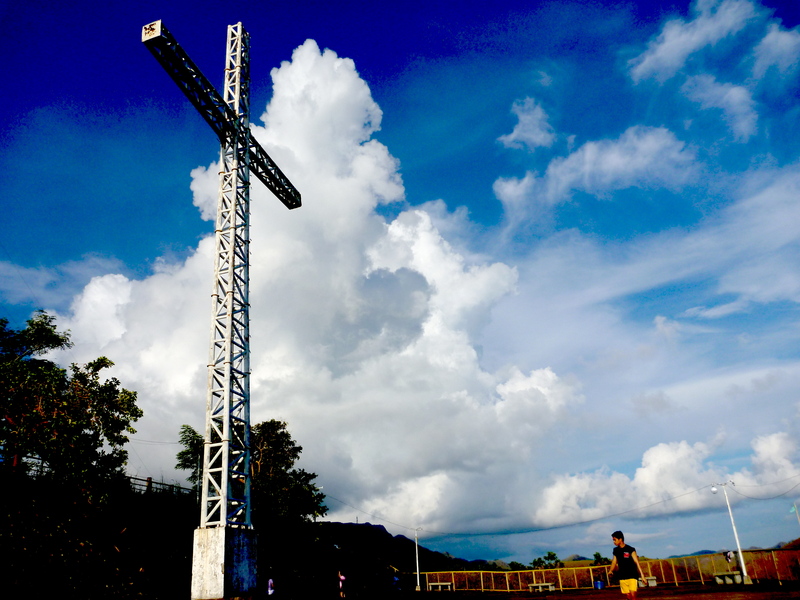 We lingered a little longer until it gets dark waiting for the big white cross to light up, creating a warm glow in the mountain top. We descend slowly, the moon perfectly lighting up our way down the steps. The dive shop was already filled with people when we got there the next morning, as usual we were joined with foreigners – a Dutch and American. Boris (the Dutch) went with us with DM Rene, just perfect as we’re not crowded. We cruised for an hour for Irako Maru, the cheery sunny weather was just perfect for good visibility. We did the giant step but the water in the area was choppy, I requested for a brief rest as I got hold of the bouy line. We slowly descend, it was all hazy and there was nothing in between until we caught sight of some solid form. As a kid, one of my great fear is the dark but now have dramatically outgrown it, mystery of the darkness consumes my sub-conscious. Somehow, wrecks always captivate my senses – there is that urge to rush what’s inside. We went inside penetrating the darks searching every corner with my torch, for what? Again, I got distracted I barely noticed the marine life and failed to take any photos. I was too engrossed handling my torch as we go through compartments, rooms and corners. Practically we have explored more of the vast Irako compared last time, at 37.7m we went deeper inside the wreck. Our DM signaled for the bouyline just in time that my NDL went 2 minutes. We cruise leisurely for our next site still within southeast side of Lusong Island while having our early lunch, as our surface interval. Kogyo Maru is a new site for us , at 158m long it’s another big ship slightly larger than Irako although slightly shallower. The water was still choppy and I need to steady myself again with the bouy line until we descend slowly. 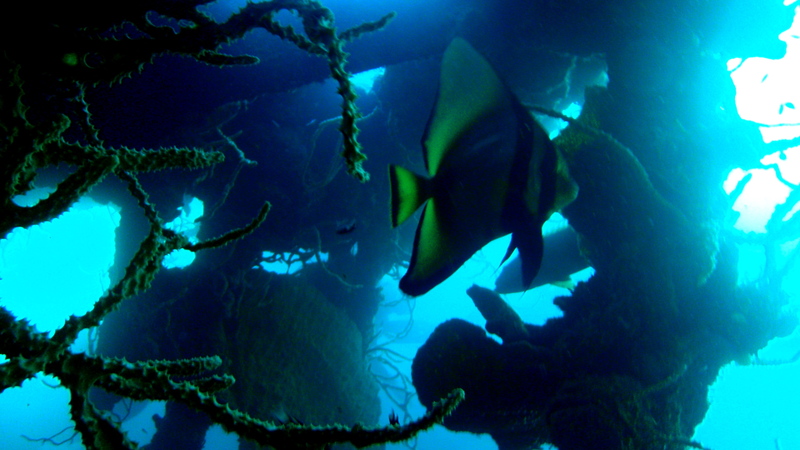 Just like the others, its body is encrusted with corals with tropical fishes hovering, many specie of soft corals hanging and tangling the steel bars. Following DM Rene, we penetrated the narrow passage one after the other, Angel behind me as last in the row. We did find thousand of bags of cement turned rock hard pillows, further we found too thousand rolls of interlink wires now fossilized. 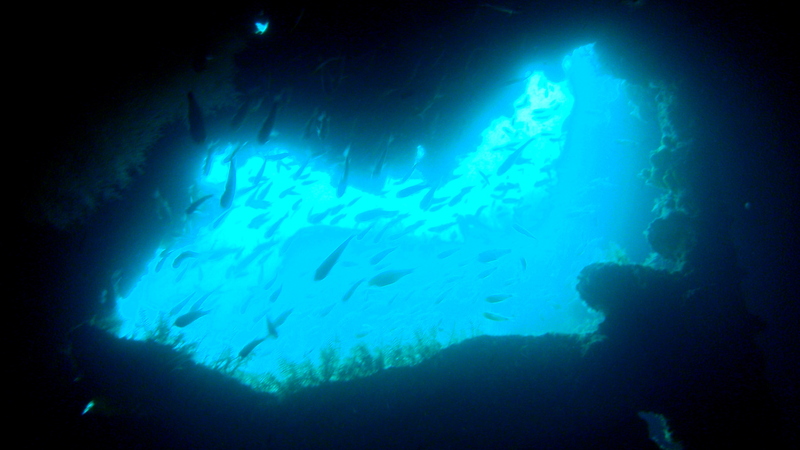 We continued to explore all possible passage until we come out of a hole and swam a bit over the wreck. We ascend back at the bouy line after 40 minutes with my air still at 110 bars. We cruise to Tangat Island for our last site of the day, East Tangat Wreck is believed to be either a tugboat or an anti-submarine craft listing to starboard down a sandy slope. I was grateful that the water was calm already when we got there, a respite from two previous sites being rough on surface. This small wreck still has narrow passages worthy to be penetrated as conclusion for the day’s descents. Once we lost our DM and as we waited, emerged shortly from a small hole beside the wreck, Angel and I averted our attention to the opposite side and they quickly vanished in the dark. We found soft colorful corals on its sides, spotted too nudis, sea squirts and huge flatworm. 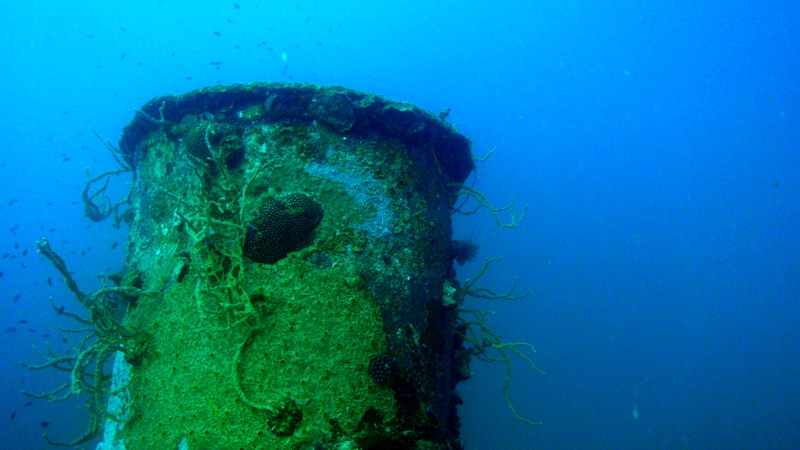 The mast was also encrusted with soft and hard corals. At 40m length, it wasn’t difficult to cover the whole stretch surveying the sides, actually we circled it three times just enjoying the marine life with calm and shallow waters. We surfaced after 48 minutes with my air still at 140 bars. Exploring a wreck is always a joy! It was amusing as I swam back to our boat, when the crew from other boat we passed asked (in Visayan) our DM if I am Korean, laughingly I answered back I am Filipino and speak Visayan. I can’t blame him, since most if not all clients of dive shops are foreigners. We cruised back to town with happy faces! Later we treated ourselves with a sumptuous dinner at our favorite Coron Bistro. Sometimes there is that force inside us that drives one to go frontward , we promised ourselves in October 2011 to visit the islands after five years but we made it after seventeen months, apparently our love for Coron led us for an earlier schedule. Coming to Coron is not cheap, I spent the night at the terminal lacking sleep but it wasn’t a hindrance. I got blues both in my arms due to the choppy waters but don’t mind it at all. All for the love of the depths. Coming back to Calamianes this year has been kind of melodramatic, why when I was all set to go a year ago – plane tickets paid and dive plans in place – it was cancelled to give way for another priority. My heart sank, but it was a victory being able to give up desires over something for spiritual growth. To appease myself, I promised to return early part of this year but again deferred and boldly set it in October. This all-consuming passion to dive once more for the monsters keeps nagging me, my gills and fins were aching for it. I have wanted to be in Coron once a year with my favorite dive buddy for wreck diving. Be careful what you wish, you might end up with it. I gave Angel with incredulous look when he smiled and reminded me I wanted to be with him for the round trip passage to Coron – perhaps. I have prearranged plane tickets all the way to Calamian and back home to save leave from work. Well, we ended up taking the boat after our flight was cancelled and me coming back to Manila with him on the boat again. Halleluiah – but with a price! It’s a taboo for me to talk on here about finance issues, but I have to admit it cost me much for the penalties in changing my return flight home. Waiting, queuing, negotiating, calls, arrangements, changing tickets, rushing to pier, and getting tickets. It was exhaustive, but we made it though. We were thankful we had other alternative after our flight was cancelled. It was miracle, we got tourist accommodation in adjoining bunks when the boat was filled with people. But again, be careful…. Arriving midday with the scorching heat, I sighed with deep breath as we descend from the boat with quick steps down to the port. It was two years ago, I waited long for this homecoming. 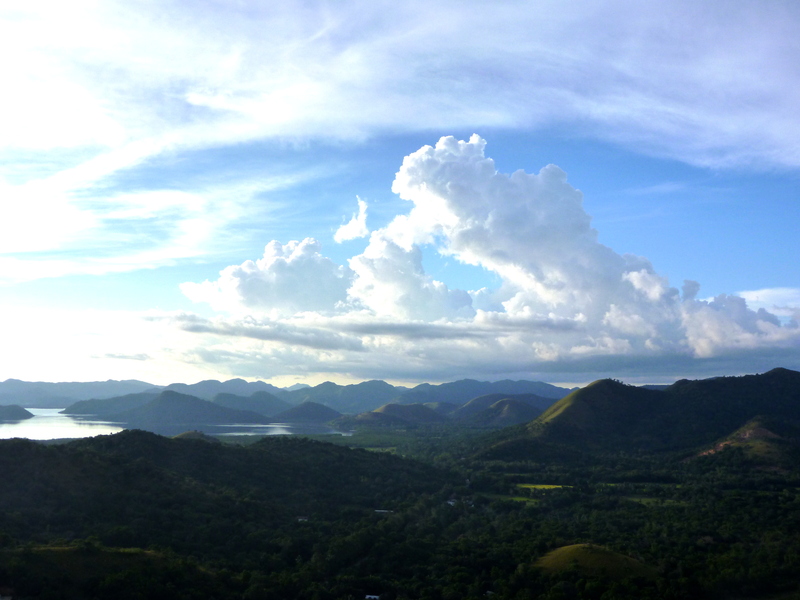 I was smitten with Coron during my first visit, I went back three months later to explore more of its splendor. All its wonders in the surface was indeed pristine and alluring – a perfect paradise in the last frontier. And more enticing to me was its mysterious depths. The shipwrecks in Coron is the second largest concentration of diveable World War II wrecks in the Pacific, sunk in September 24, 1944 just a year after SCUBA was invented by Sir Jacques Cousteau. . Now almost seven decades underwater, it created vast artificial reefs as haven for varied marine species and wonderful spot for divers. 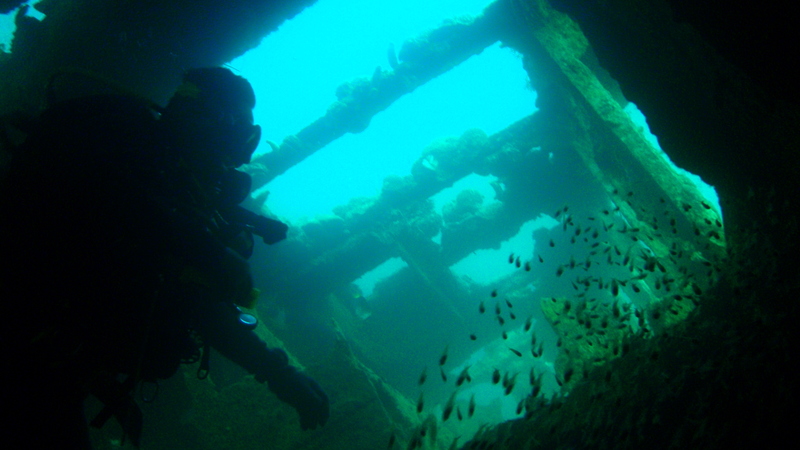 In the world, there are only two other wreck diving destinations that offer a comparable historic experience: Truk Lagoon in Central Pacific and Scapa Flow, off the Orkney Islands in Scotland. 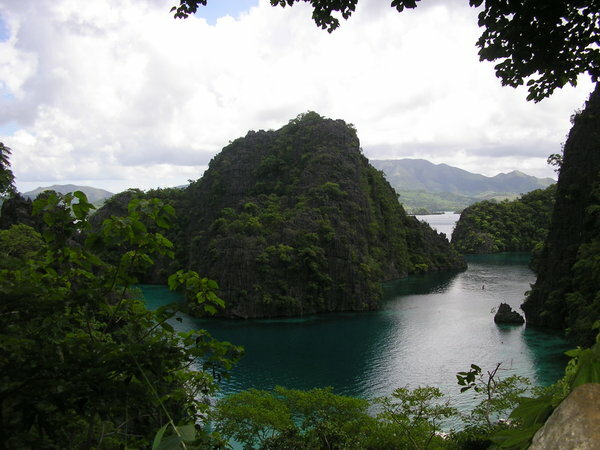 But the Coron wrecks win over these sites – it is less expensive to dive here and the water is warmer. As the remaining afternoon would be too short for island hopping, we dismissed the idea and opted to rediscover downtown Coron. We walked around for over an hour and had a relaxing stop at BOG Café for coffee break, the cake & pastries were great and exactly what we fancied for our cravings! Thinking of the glorious sunset, Angel and I agreed for an afternoon climb to Mt. Tapyas – just to be fit and get away with the calories from the rich cheesecake. Thinking of additional three wrecks to explore thrilled me, arriving later as scheduled gave as another surprise – Irako Maru is in the list for our dives! It was a perfect sunny Sunday as we cruised for over an hour northwest for our first descend, together with other six divers – all foreigners just like in my previous dives. It seemed that divers from all corners of the world came unceasingly for these historic wrecks. We took the giant step for our entry splashing the cold waters, I can’t wait to see Irako described as the longest and deepest wreck in the area. We hold on to the bouy line as we descend slowly, it was all hazy until we catch glimpse of some solid form. DM Nonoy briefed us to stay only outside and may penetrate some lighted portion. He motioned that we go ahead of the others, the silts might be stirred and we would see nothing. Admittedly, I was distracted of the monster I barely noticed the marine life around. This large ship can not be explored in just one dive, at 147m long covering the whole stretch was impossible! It has been literally stripped of anything – it is now mere skeletons. It is now a bare vast metal encrusted with hard corals and brownish rust. We swam around a bit and reluctantly got back to the bouy line when our DM motioned for it. As we slowly ascend having the safety stop, a large school of jackfish appeared nearby. I went to take a closer look but sadly I went back deeper, which made me to do again for the three minutes safety stop. It was a short dive at 36 minutes with 32.2m as my deepest. We cruised shortly for our next site and had our early lunch as our surface interval. Olympia Maru aka Morazan Maru is another new site to me, it was another large ship slightly smaller than Irako. We hold on again for the bouy line as we descend directly on its port side as it was lying on its starboard side. Some kind of a wide surface, we found holes both square and round ones. Feeling that familiar rush to get inside and explore its dark secrets! We floated slowly as if flying careful not to stir the silts, felt so wonderful. I challenged myself as we got into a small square hole for smooth entry and just flow inside like the waters. Following our DM as we penetrated and searched for something lurking in the dark corners, but not forgetting to make sure Angel was just around nearby. 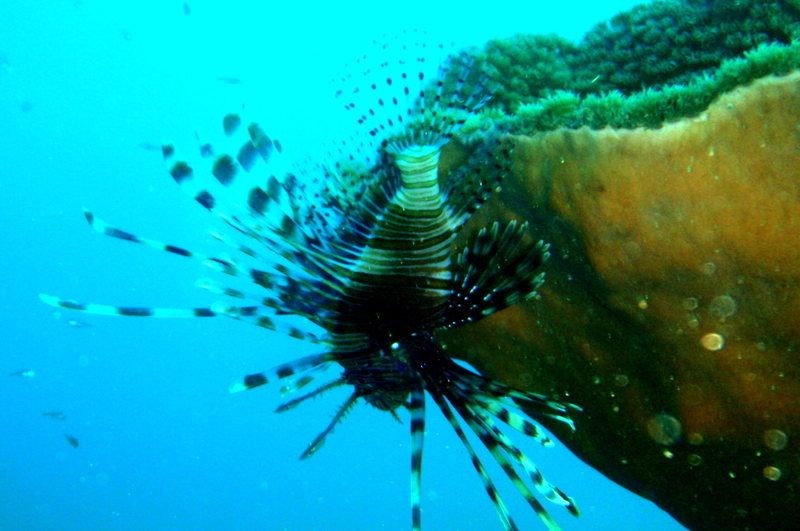 We spotted lionfish, scorpion fish, juveniles, a puffer and camouflaging colored clams. The big cargo rooms and boiler rooms allows penetration and we practically roam around passing chambers going up and own and back again. Rusted bars, big iron wheel perhaps for the boilers and we saw the hole damaged by bomb strikes which disabled the ship. The ray of light penetrating inside gave some interesting effect inside the dark rooms. I practically ignored my dive computers flashing signals, I just need to make most of my time down but covering the whole stretch of 122m is again impossible. We finally headed for the bouy line to stabilize our depths, alas I needed a deco stop and was penalized for 8 minutes – first time so far! But with still more than 100 bars of air I had no worries, I had a total bottom time of 58 minutes with 24.4m as my deepest. crawling on the corals. 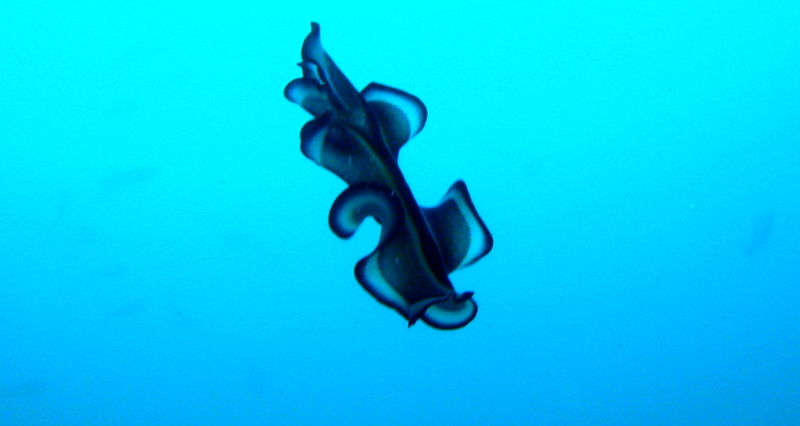 There was flatworms, graceful lionfish, clown fish, sea squirts, bat fish and spade fish. The marine life was wonderful enough for photos but again I got distracted with the wreck. We ascend after 49 minutes with 16.8m as my deepest. All my residual air were still more than 100 bars in my tank for all three ascents. Exactly why Angel and I still have reasons to be back in Calamianes, who knows it might be sooner! NB. Underwater photos courtesy of Angel, using his Olympus Tough 8000 with PT 045 as casing. Coron is now one of my favorite destination, discovering it in March 2008 without second thought I went back three months later to know more of the secrets of the Calamianes. I visited it again last year with my favorite dive buddy- yes, you guess it right – to explore more of its secrets in the depths! Angel and I loved every bit of it, he swore it was his best dive experience so far and in fact it was our deepest at 114 feet!. And I could not deny that exploring Akitsushima and Taeie Maru was exhilarating – going down and penetrating the mysterious wrecks was so challenging and enthralling! Exploring more of the monsters was so irresistible that we planned for another Coron trip this year, I booked my tickets as early as April! Indeed, we eagerly wait for October while enjoying other dive trips. For us, Coron waters is something special, with its limestone cliffs, crystal waters and rich marine life we wanted to experience its beauty over and over again. I thought everything was in place, except for my leave from work but alas by end of August, my community have scheduled on the date when I will be in Coron, a spiritual retreat for us and required everyone to come! Remembering my trip, I was bit shaken, I wanted to delay my response. In my mind, I tried to justify I had my tickets already and it was scheduled long before. I remembered I was sullen that day, hoping it will be postponed to other dates. Actually my heart sank… Going back though, I reflected that the Lord has been so good to me, He had lavished me with wonderful trips and provided me all the resources. In submission I prayed for grace and decided to cancel my trip and be there for the Lord – He asked just one day from me! It was a breaking news, but I guess Angel felt relieved because his friends will be coming with him and he is not comfortable diving together with me! Anyhow, I would be missing the Coron wrecks this year and have to let go my CGY-MNL-CGY ticket and the amount attached to it, refunds or rebooking is not possible. Always, there is a reason for everything and I am waiting it to unfold one day. But again, I can look up and be thankful He emerged victorious over my much valued trip.